I NEED TO...ensure compliance to survive my next software audit. Your next audit letter could be in the mail. Are you prepared? Most organisations say they're not. What are the most common mistakes that'll cost you during an audit? Software vendors are looking to cash-in on your ineffective licence-tracking methods. If you're still logging licences on a spreadsheet (hey, it's better than a bar napkin) then there's a good chance you'll have to pay up. More than two-thirds of organisations can expect an audit in the next year. Additionally, more than half of businesses report they've been audited more than once in a 12-month period—and the outcome can be costly. In an effort to avoid those costs, many organisations overbuy licences, but that wastes money and is totally unnecessary. Ivanti gives you confidence in your licence position by helping you proactively manage your vendors. An intimate knowledge of what software has been purchased—and more importantly, what has been deployed—is crucial to surviving an audit. What was once a messy guessing game is now a more civilised approach thanks to Ivanti solutions. Generate accurate, vendor-specific data to view your current state of compliance. Some audits can drag on more than a year, halting work and costing you money. Ivanti helps you minimise the fallout. Understand your effective licence position. Know the who, what, and where of your software licences. Reduce costs from licence overbuying and rogue purchases. Rest easy knowing you won't get hit with huge fines or true-up costs. Many companies wait for an audit to hit them before taking control of their software assets. Big mistake. The damage is done in the form of true-up costs, fines, and legal fees. Failed audits can also harm an organisation's reputation, so don't dawdle. Take action now with Ivanti and make your next audit as painless as possible. Packageing company Sealed Air saved nearly $1 million in licencing fees within the first three months of using Ivanti. Discover how our customers survive audits and save money at the same time. 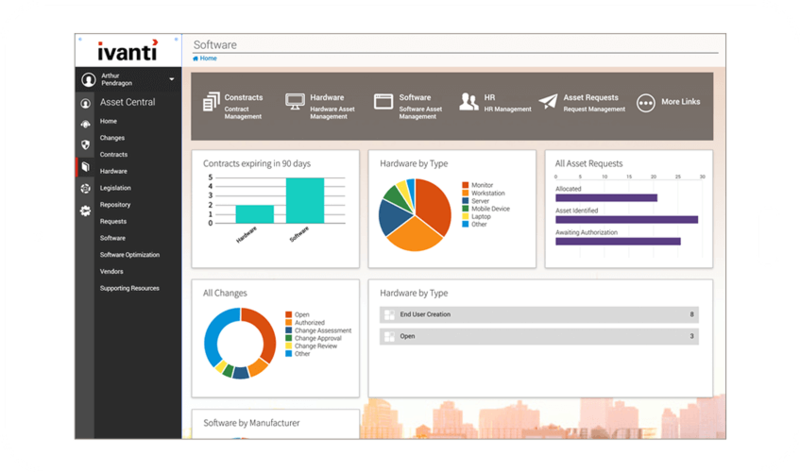 Import software-purchase information automatically from vendors such as CDW, Microsoft, Adobe, Lenovo, Dell, and HP to create asset records. View software-usage information in real time to optimise licences. Drill deeper for specifics about when the software was last used, how many times it was launched, and duration of use. Identify which applications are licenced and approved, and report on any usage beyond corporate guidelines. Asset Manager for Endpoints delivers a process-ready workflow that walks you through the audit experience, helping you prove your state of compliance. 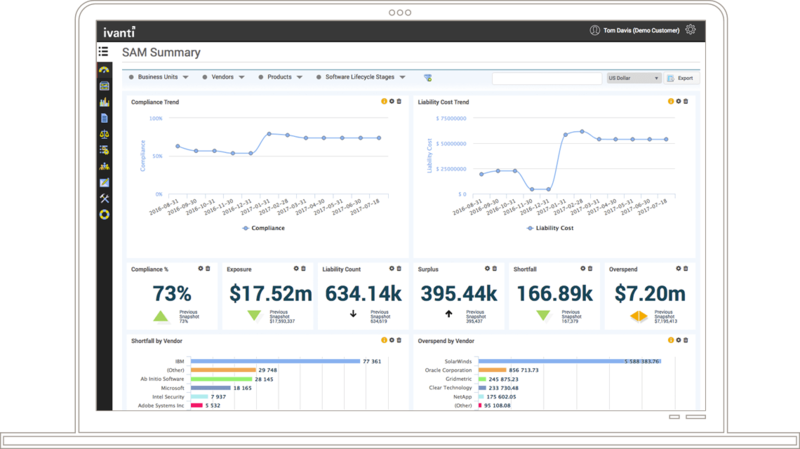 Visualise your current state of compliance, quickly identify software licences out of compliance, and gain insight into estimated true-up costs. Access and inventory all managed or unmanaged IP-enabled devices on your corporate network for an accurate picture of your software assets.